As a business, your property needs to be safe for clients and staff. And when snowstorms and ice, hail and other winter weather come. You need a professional parking lot snow removal service that will reduce the risk of liabilities. Lynn Snow Removal offers commercial snow removal services for your business. Whether you have a four-car parking lot or an area five thousand times larger. We can quickly and efficiently remove snow from your parking lot. So that you don’t have to improperly use your staff or lift shovels yourself to remove snow. You can lose a great deal of money when business isn’t operating smoothly due to the need for snow removal. But when you call upon our services, we are there in a flash. As a business you have a lot of responsibilities and when you are successful, you likely can't do everything yourself. You need the help of other professionals so that you can continue to operate smoothly. Lynn Snow Removal conducts snow plowing services for parking lots that is fast and efficient. To ensure that your parking lot is accessible to anyone who needs to enter and exit. Hiring a professional snow remover is an effective strategy for ensuring that your parking lot is completely clear. So that you can reduce any risk of injury and possibly liability from accidents. Snow plows cost a fortune and there is no reason for you to make this type of investment when you can hire a professional snow removal service. Our equipment is state of the art and we also use well proven anti ice products and procedures. This will save you from engaging your staff in inappropriate and dangerous tasks and will also save you from conducting do-it-yourself methods with inappropriate equipment. Our snow plows efficiently clear out snow from your parking lot in very little time because we understand that your parking lot is a vital feature of your property. Using inappropriate chemicals and equipment to clear snow from your parking lot can create a great deal of damage to your asphalt or cement. You can simply wake up and give us a call and we will enter your parking lot without the need for you to be present and we will clear the surface of all snow and ice with no surface damage. You likely invested a great deal of money into the smooth surface of your parking lot to ensure that clients were able to drive safely without damages to their vehicles. 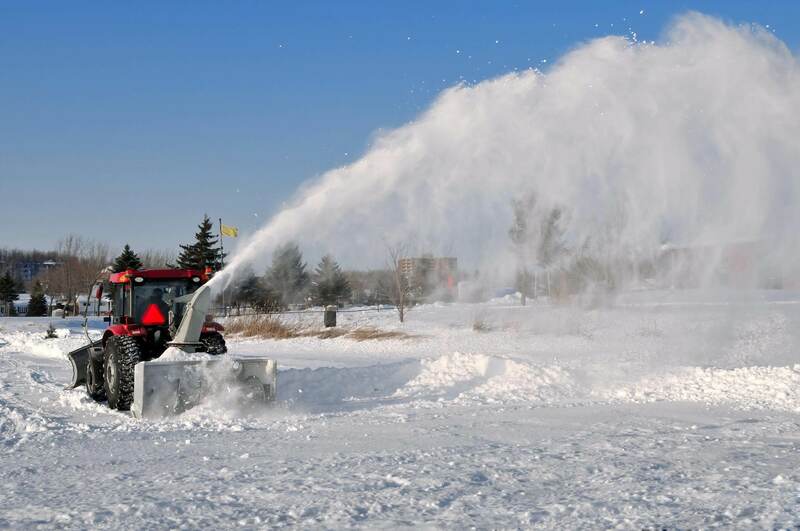 Using a professional snow removal service will ensure that your investment is protected. There are some chemicals that can create premature deterioration of your parking lot and the best way to avoid this is to use a snow removal service that will use well proven and trusted methods of snow removal. Snow storms do not always hit at a convenient time of day and when you need a parking lot snow removal service you need assurances they can service your property in a timely fashion. Lynn Snow Removal offers 24 hour, 7 days a week snow removal that is fast, efficient and continuous to get the job done.